The Middleton Solar DN5-AF is a FAST RESPONSE Spectrally Flat Class A pyrheliometer. The DN5-BF is a lower cost Class B version of the DN5-AF. Both are for measuring solar Direct Normal Irradiance (DNI) when aimed at the sun. The DN5-AF and DN5-BF have a passive microvolt output. Window is optical sapphire for broad bandwidth and superior chemical & scratch resistance compared to glass or quartz. Flush-mount window to prevent obstruction by rain or debris. Marine-grade anodised aluminium for corrosion resistance. 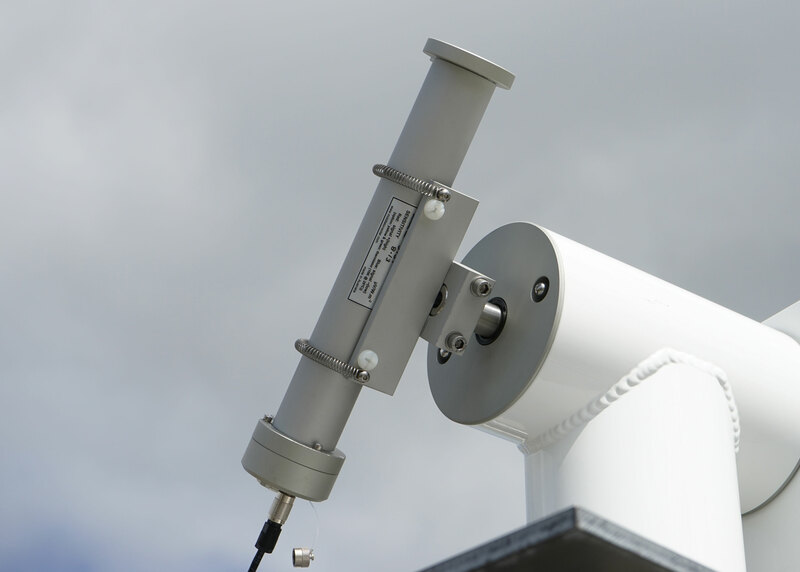 Use the AST-02 Active Solar Tracker to aim the DN5-AF/BF at the sun.